The history and story of Peoples Credit Union began on October 22nd, 1956 when the frustration of many of the area's local farmers and ranchers of Baca County, Colorado was increasingly mounting due to the inability of the local financial institutions, of that time period, struggled to fully service the financial needs of southeastern Colorado's farm and ranch communities. This frustration ultimately culminated, when seven Baca County area farmers and ranchers, joining forces applied for, and received authorization to become a credit union operating under the State of Colorado Charter Credit Union membership guidelines. Those original seven farmers who initiated those early beginnings of our credit union were; Simon Gentzler, William Arbruthnot, O. W. Pennington, Frank Wilson, W. W. Harmon, Fred Crane, and Glenn Drosselmeyer. The name of the newly chartered credit union was originally known as Springfield Coop Credit Union which, initially conducted business in the offices of the Springfield Coop Elevator facility where the employees of the coop elevator performed the primary duties of the credit union. As a result of the opening of the credit union and, in keeping with the regulations governing credit unions, it is worth noting the first volunteers, much like today's volunteers, had ultimate responsibility for the credit union's policies and procedures during those early years. Just as the way we are currently structured, the volunteers of those earlier times were comprised of two entities; the ‘Board of Directors' and the ‘Supervisory Committee'. The first Board of Directors positions were filled by J. A. Critz, Ed Rosengrants, Oscar Nidey, O. I. Dishman and Vance Novinger. However, it is worth noting that Oscar Nidey did past away before completing his inaugural term as a member of the Board of Director, and Fred Crane was named to complete Mr. Nidey's term. The second entity consisted of the ‘Supervisory Committee' and those early volunteers were comprised of the following volunteers; Sam Gordon, R. P. Wallace, and R. L. Hancock. Initially, the newly formed credit union boasted shares of $6,500.00 with loans on the books of approximately $3,700.00. Mr. Charles D. Smith, a prominent member of Baca County was named manager of the credit union in the early 1960's. At approximately the same time, the credit union's offices were moved to “one room” in the back of the Springfield Coop Service Station. As the ‘ten year' anniversary of the credit union approached, and interest in the credit union was growing, membership in the credit union grew to 449 with total assets climbing to $273,000.00. In the spring of 1974, Mr. Jim Edmisson was named as manager following the untimely death of Mr. Smith. At that time the Board of Directors voted to purchase land and have a new building constructed at 1301 Main Street in Springfield. The brick building was forty feet by eighty feet in size. In addition to the new building, the name was officially changed from ‘Springfield Coop Credit Union' to ‘Peoples Credit Union'. The membership, at that time, had grown to 995 members with assets of approximately $2,061,000.00. Mr. Burrell Mason was named manager of Peoples Credit Union when Mr. Edmisson departed the credit union in mid-year 1983. For the next several years, the credit union continued to thrive as the services offered to the membership expanded to include Certificate of Deposits (CD's), Individual Retirement Accounts, checking accounts, as well as, the credit union upgraded their overall services by converting from hand written ledger and business forms as they step into the computer age. In 1994, the building was expanded to twice its original physical size to approximately eighty feet by eighty feet. Also, at that time a drive thru facility was added to improve the overall serviceability to the membership. In the year 1996, John Paul Unruh was hired as manager of the credit union. Also, rounding out the year of 1996, the credit union changed its ‘Field of Membership' by opening its membership to all residents of Baca County. By year's end, 1996, the credit union boasted a membership of 2,838 with assets of $19,637,862.00. Additional improvements continued and by the end of 2001 the credit union had enhanced its offerings by adding ‘Teller Talk' to the membership allowing them the opportunity to make “Round the Clock” inquiries about their account. Also, debit cards were offered to members with checking accounts with Peoples Credit Union. Landscaping and a new sign were also added to the overall improvements to the credit union, and by the end of 2001, membership had increased to 2,919, with total assets coming in at $20,716,309.00. The credit union continued its growth and by the end of 2003, not only were they offering safety deposit boxes to their membership, but their assets had grown to $24,684,349.00. In early 2007, we were granted an expansion of our field of membership by both the Colorado and Kansas Division of Financial Services allowing us to conduct business in both Stanton and Morton counties in Kansas. These counties are located in the southwestern corner of Kansas. As the credit union continued to grow and expand its influence within Its field of membership, it became evident that our facility that we had occupied since 1973 could no longer fit our needs. Therefore, on January 17th, 2012, we opened for business at our current facility shown above and located at 125 Main Street,Springfield, Colorado 81073. The new facility added approximately 2,200 additional square feet of operational space as well as offering two drlve-thru facilities as opposed to only one at our previous location. While we still actively continue to service the needs of the farming community of Baca County, we have also grown to be a full service financial institution serving the needs of all our residents providing a wide ranging array of services to its membership including; checking, basic savings, and money fund accounts, certificates of deposits (CO's), IRA's, and health savings accounts (HSA's). Additionally, we also provide lending services which Include consumer loans, residential real estate, agriculture, LOC's, business, farm equipment, cattle and crops, and savings secured, as well as, checking overdraft protection. 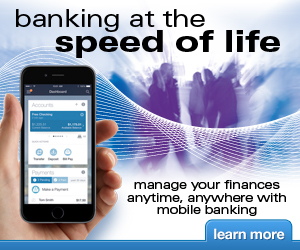 In this age of technological advances, Peoples Credit Union has evolved to the point of being in a position to offer its membership the highest caliber of tech services,such as; debit cards, online banking, bill pay service, mobile banking, and e-statements, all of which are free to our members. In addition, we have retained the most sophisticated and most up to date technological protection services designed to secure the assets and privacy of our membership. All of these services are offered at no cost to our members. Peoples Credit Union is a Colorado state chartered credit union that is backed by the full faith and credit of the United States via an agency known as the National Credit Union Association (NCUA). This is the similar agency used by banks known as the Federal Deposit Insurance Corporation (FDIC). Peoples Credit Union member accounts are therefore subject to the same regulations as the banking industry, which means that PCU member accounts are insured up to $250,000.00. At the beginning of the year 2015, we began petitioning the Colorado State Division of Financial Services to allow us to expand Into additional markets adjacent to Baca County, Colorado. We were very pleased when, In October of 2015, we received final confirmation that we were approved to conduct business in Prowers, Bent,Otero, and Las Animas Counties. With this addition, our field of membership opportunity increases from 7,000 potential members (Baca, Morton, & Stanton Counties) to an additional 56,000 possible members residing in the newly acquired counties. By the end of the 3rd quarter of 2015, PCU is proud to announce that our membership has grown to over 2,700 with assets exceeding $41,000,000.00. If you are currently a member of Peoples Credit Union, you are well aware of the rewards of being a member. If you are interested in becoming a member, we encourage you to contact us. Find out the distinct advantages of membership with Peoples Credit Union, where our slogan "We Work For You" is not just a phrase, but it represents our commitment to each of our valued members.